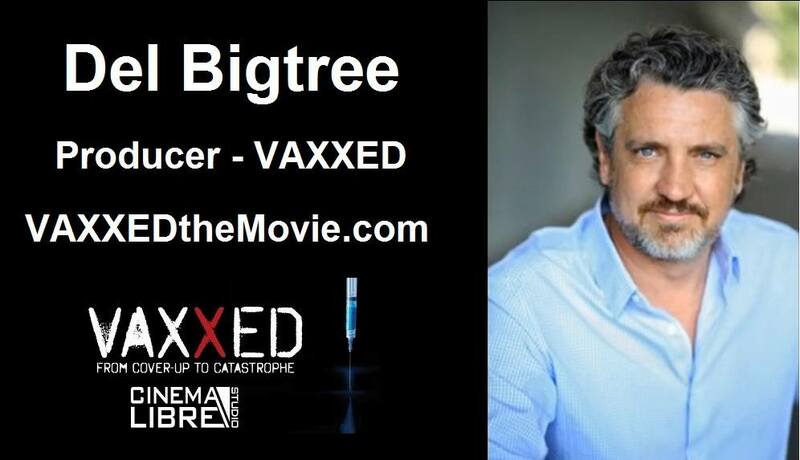 Mr. Bigtree states that when he learned about the top scientist whistleblower at the Centers for Disease Control (CDC), that he knew this was the biggest story of his life, and that this was “bigger than Watergate.” Since the 2004 study that supposedly proved there was no link between the MMR vaccine and autism was published by the CDC, more than one million children have been diagnosed with autism, and now one of the study’s authors at the CDC has revealed that data was concealed that actually showed there was indeed a link between the vaccine and autism in some children. 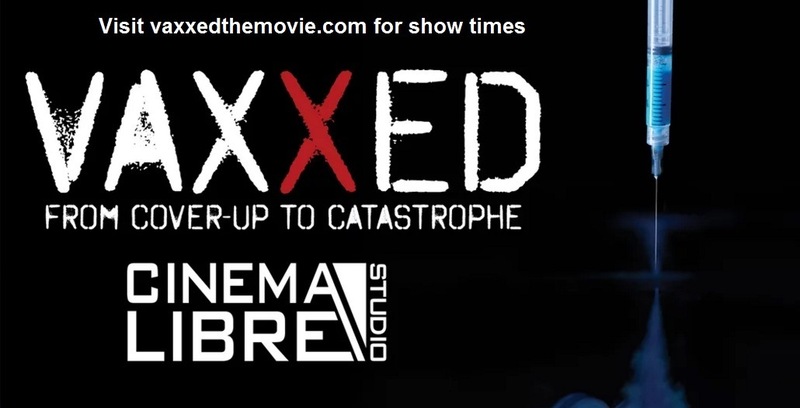 Mr. Bigtree makes it clear that this is not an anti-vaccine movie, but a movie about government corruption at the CDC. In the second half of the National Safe Child Show, Tammi Stefano interviewed Jennifer Margulis, Ph.D., an investigative journalist and the author of several books, including “Your Baby Your Way” and “The Vaccine-Friendly Plan” that she co-authored with Dr. Paul Thomas, M.D. Dr. Paul Thomas is a board-certified fellow of the American Academy of Pediatrics, and he agrees with actor Robert De Niro that we need to learn the truth about vaccines, and that the science is anything but “settled.” Dr. Thomas is not anti-vaccine, but delays or forgoes certain vaccines depending on the needs of the children in his practice. Margulis reveals in her interview that in her experience as a professional award-winning journalist, she has seen censorship in journalism on the vaccine topics. She attributes this phenomenon partly on the ignorance of journalists and their unwillingness to explore both sides of the debate. She believes many journalists erroneously believe that if the government states vaccines are safe, then it must be true. She reminds her colleagues in the media that traditionally the media’s job has always been to question the government, and act as a “watch dog” over what the government was claiming. As an example of media bias and censorship on vaccines, Margulis relates an experience she had a few years back appearing as a panelist on a PBS documentary. Two medical doctors from California who vaccinate children in their practice but at a slower rate, or more selectively than the CDC recommended schedule, appeared on the panel, but their comments were edited out of the final version. Much of Margulis’ own testimony was also edited out, to make it appear that the pro-vaccine doctor and “science” was on one side, and a mother from a liberal community in Oregon (Margulis) was representative of those opposing his views. 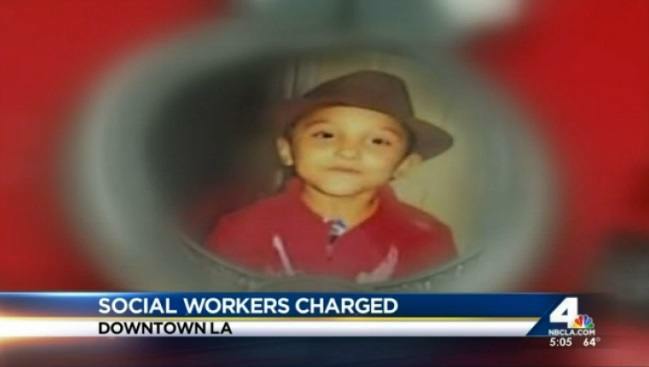 Four California social workers are being charged with “child abuse” and “falsfying public records” in the beating death of 8-year-old Gabriel Fernandez three years ago. Image source. This is National Child Abuse Month and we have Tammi Stefano, host of the National Safe Child Show joined by a CPS whistleblower (whose identity remains hidden to protect them) that has worked with the Department of Children and Family Services for over a decade coming forward now to reveal egregious corruption within the department. This social worker has come forward after being privy to a case where they saw that court ordered family visits were impeded by the department in an alleged effort to manipulate the judges’ ruling in favor of adopting out the child instead of reunification with the family by making it appear that the family was not choosing to visit their child, among other things. This whistleblower says that this family is a safe and loving family who has done nothing wrong yet they are suffering at the hand of a corrupt system, a system that is right now seeing some of its own social workers criminally prosecuted by Los Angeles D.A. Jackie Lacey in the Gabriel Fernandez death. A department that during business as usual allegedly accepts “orders for children”–taking children away from loving families to adopt them out for financial gain–while on the other hand is caught ignoring the cries of a young boy being tortured to death may not be a department that works in the best interest of children and their families. The first matter that I want to touch on briefly is Gabriel Fernandez that we have been covering for years now. Three years actually. He died on May 24, 2013, as many of the listeners know. Well yesterday, District Attorney Jackie Lacey filed criminal charges against four of the social workers that were involved. I’m not telling anybody anything new. It’s big news. The wonderful thing with that folks is it really hasn’t been done. It opens up a can of worms for social workers who continue to abide by the wrongdoings within the department, within Child Protective Services. And I just want to send a message out loud and clear: when you as a social worker–and I know that many good social workers exist and are doing their best–when you as a social worker follow the protocol of wrongdoing, of illegal activities, of altering documents, you now have a scenario where you can be charged criminally–and this is what we all have to push for. We have today a social worker on our show, we will keep their identity hidden because they are in fear on many levels. Their voice has been changed. We’re going to ask some really tough questions. We encourage our listeners today to come on the chat room, ask some questions, and hopefully we’ll be able to get some answers. We have other social workers who are now stepping up folks so over the next month or so we’re going to be covering some really tough situations and we’re going to find out about the truth. I want to introduce without further delay, the social worker who came across and egregious situation and this person just decided, ‘I’ve had enough, I’m not going to participate in this. I’m a good person, I’m an honest person. I do my best for the parents. If a parent really isn’t safe then I do my best for the child.’ But ultimately if the parent is safe, this social worker has pushed to keep children together with their parents. But this social worker has come up against some roadblocks lately. And as we all know, the roadblocks have been prevalent for a long time but when this social worker came up against a roadblock I received a call. I was told about this situation. It’s an awful situation. We hope to have the parents come on soon–we will– but I also want to protect the parents while they are going through being away from their children. As we know, this is National Child Abuse Month. Well, let me tell you, these children that these parents have are being abused in the system. They should be reunited with their parents. These are good parents. Without further ado, I want to introduce (we will call this person Bob) Bob…thank you for joining us. Bob, I want to jump right in… you have been working for the Department of Children and Family Services for over a decade, is that correct? You have helped many parents–and made sure that their cases were handled properly–you’ve been the social worker on the case and in fact–this is the first time I’ve heard–you’ve shown me some letters where parents have actually praised you and thanked you for helping them in their case, isn’t that correct? But recently, you have reached your limit because you’ve seen some really bad things happening, is that correct? And what you told me, I don’t know if you recall telling me, you need to sleep at night and you need to look at yourself in the mirror and you’re not going to participate in illegal activities, is that right? Illegal activities such as taking a child away from a safe parent and having them adopted out or kept in foster care. Putting Orders in for Children, as Easy as Online Shopping? Have you ever heard of a foster parent who makes a decision that they want somebody elses’ child and regardless of the safety of the biological parent a decision is made to give that child to the foster parent simply because the foster parent wants it? Not until this case, I haven’t. You have actually heard of that scenario now, intimately. You are not the only social worker to disclose this situation to me, there have been other social workers/whistleblowers who have told me–and National Safe Child has actually been working on this for about two months now. Do you feel bad for the parents…? Are the parents crying out to be helped because they don’t understand what’s happening and they don’t understand why they’re not getting their children back because they followed and jumped through hoops over and over again? Yes. She [the mother] is very desperate. And you feel that this is a safe parent? So when it comes to drug issues, have you ever heard of or been part of a situation within DCFS that it is alleged that there are dirty drug tests when you know for certain that there are not dirty drug tests? Would it be fair to say that one of these case scenarios happened with the case that you’re familiar with? 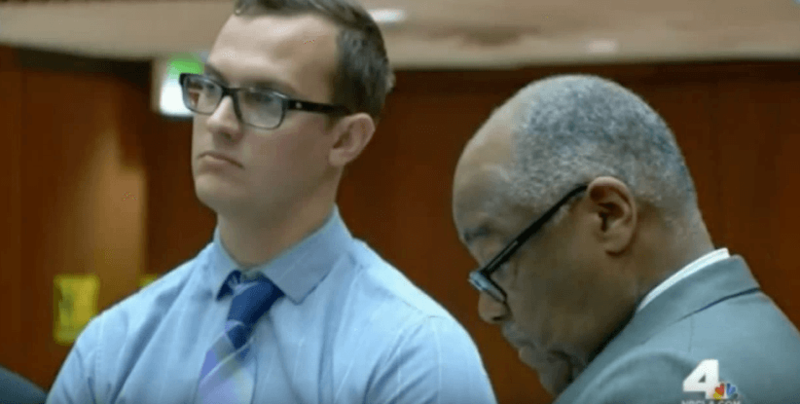 There was a dirty drug test, or more that came up with this case, correct? Was it proven to be inaccurate? It [the drug test] was not accurate. So at that point when the department had evidence that there was a drug test that came up positive but in fact it wasn’t positive, did the department correct that? Tammi then asks Bob to tell us about facilities that are set up to help children, or so-called facilities that are set up to help children that collect money for years but do not ever help children. I only know about one program, I don’t know what the name of it was, but it was for children from birth to three years old. So to understand, a program was established that appeared… that it was a program for ages newborn to three years old–for children that needed assistance–and this program was funded and kept going for a period of three years, however, it became apparent–not to the public but internally–that within this three year time span that this program was being funded that only one child was ever in the program? And a social worker was given the task of overseeing this program, would that be fair to say? The social worker was overseeing the one child that was in the program. 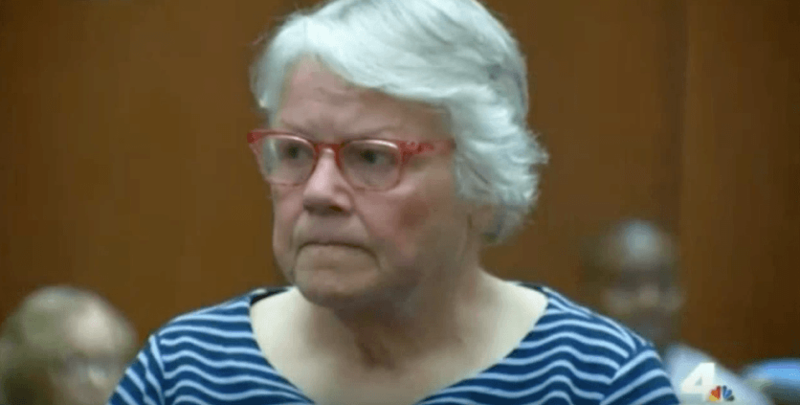 The social worker was overseeing the one child–one child for how many years? In your opinion, would other children under three years old have benefitted from maybe going into this program? Are you familiar with supervisors who ask social workers to alter their reports from one direction to a whole different direction even when it isn’t true…? Was it just typos; was it the language wasn’t very clear, or was it flat-out-blatant-lies that the supervising social worker was suggesting happen within any particular case? Tell us a little bit about sanctioning of social workers–internally–is there a sanctioning process for social workers within the agency? Only if you want to include children’s court. The only sanctions that I have ever heard of come from children’s court. Like if you don’t have a report in on time… missing… or that kind of thing. Have you ever heard of any social worker being asked by a supervisor to take the fall for another social worker who had too many sanctions and would be in trouble? Could you explain that just in a generalized sense, please? [inaudible] the department speaks with one voice. That means that whatever the social worker is feeling doesn’t matter, it’s whatever the higher-ups decide that they want… that’s the way it has to be. Have you ever been asked to take the fall for another social worker who was being sanctioned? Not for another social worker, for a clerk. …and I refused. So when social workers are scrutinized, when they’re shunned is there a fear that they might be terminated or something perhaps might be made up to ensure that they’re not part of that ‘We Speak With One Voice’ group? Are you fearful of that? Do you think that other social workers are fearful of that? Have you ever heard of that? So even social workers that don’t want to participate, that want to be able to sleep at night, that can’t fathom being part of stealing children from safe parents who may have made a mistake–and show me a person who hasn’t made a mistake–that they are fearful that they are going to lose their jobs and not be able to feed their families themselves. The D.A. Jackie Lacey is going after people now. Social workers who are participating, who are altering these reports, you’re going to be responsible, you’re going to be the one who is culpable for something that you’re actually being told to do. Now I know that there’s many social workers who actually enjoy this. They enjoy the power. They enjoy intimidating parents. They enjoy watching them run through hoops/jump through hoops. They enjoy seeing their suffering for whatever evil reason. I’ve seen it with my own eyes. A lot of social workers, they cry, they are petrified, they don’t want to participate. I want to encourage you good social workers to come forward now. Tammi encourages listeners to go to www.nationalsafechild.com and use their contact form here to come forward and speak up and do the right thing. You can remain anonymous. We actually have a group that is helping. We are encouraging social workers because we have a group of attorneys that is willing to help you–to stop wrongful termination–or to stop you from having to be put in a situation where you don’t want to be simply because you have to continue eating or feeding your family. I encourage you, honest social workers, honest people who are privy to bad situations to call the D.A. Flood her line now so that we can put a stop to the illegal activity of stealing/kidnapping children. Bob then explains that the reason facilities exist that specifically are set up for children newborn to three years old is because children under three can be fast-tracked to adoption in the system. Even in cases where the biological parents are safe, as in the case this whistleblower is was privy to, there are ways within the system that a good family can still be torn apart by a corrupt system with the power to fast-track children out of their parents home and into a waiting foster parents home. Do you think that the system called Child Protective Services or Department of Family and Children Services… do you think that it’s a system that runs well or is it broken? Do you think that children have a better chance if we had a system in place that worked with parents that did have problems…? …helped them and supported them and gave them… invested the money in the parents vs invested the money in ensuring that the parents never see their children again. Do you think that we’d have better communities? This mother that we have been discussing today… she’s not a family member, right? No. No, she was a client. Did she have to do more programs than other case plans normally lay out for a parent? It appeared to me that she did. She volunteered to do more programs to prove that she wasn’t doing anything wrong. Were any of those volunteered, successful, graduated programs… did mom get a pat on the back/good job? Not since I’ve had her case. Had her case. I did see that there was quite a few certificates of completion in her file. Tell us a little bit about parents who have court ordered visitations with their children. Have you ever been privy to any cases at any time–even one–where the court ordered that a parent see their child (they have these visits) but somebody with an evil push, with a controlled power trip made a decision that it doesn’t really matter what the courts say because you’re not going to see you’re children? That’s what I felt was happening with this case. Why did you feel like that? Because mother had so many obstacles put in her way to see the child that they want to adopt out. Would it be fair to say that the least amount of visits would be better for, not the child, not the parent, not the family but for the foster mother and the agency that was backing the foster mother and foster father? Yes, because the court looks to see if the visitation from the parents has been consistent. So the court takes that into consideration when making determinations as to return a child to their biological families, is that right? So if it appears or it is presented falsely to the court that the parents have not made any efforts to visit their children then the court frowns on the parents and veers/could veer more towards adopting the child out, is that right? So an easy way that the foster parents–if they are corrupt and they have an in with the department–an easy way to get that foster parent to get that child that they want would be just to interfere with a parent’s court ordered visitations. Wow. It’s incredible. What can a parent do when that happens… do you have any suggestions? We always say the parent is told to talk to their attorney. Talk to their social worker to arrange the visits but if the parent doesn’t get any response… other than going to court and raising your hand and saying you want to say something (sometimes they will let you tell your side). The parents that you have had on your cases, do they have money for private attorneys or are they really given court appointed attorneys? They’re given court appointed attorneys. Tammi asks Bob whether or not it seems that low-income families without the resources to hire private attorneys to fight for their children are easy targets for the department. My only hope is that there are some children’s and parent’s attorneys that are willing to go the extra mile. Have you ever seen a case where an attorney just might have a lot to say… but that attorney really doesn’t speak up for the parent too much? Everybody has to ask themselves the question, what if it were your child, how would you want people to handle your case? Right? I speak about the targeting of people who have less money or harder situations but I do not negate the fact that there are people who have lots of money and are thrown into this system as well. It just seems like the majority are people that have less money, less ability to be able to financially afford the professionals that are needed/the experts that are needed to fight for their own children. Bob explains that when parents have stated that they would get an attorney and fight the department that the fact is they don’t have as much money as the department does. That’s for sure. We’re dealing with a multibillion dollar industry. That’s a hard monster/that’s a hard machine to shut down that’s for sure. Tammi then talks about the torture and murder of Gabriel Fernandez and the failures of 4 social workers in his case. Tammi mentions a teacher who made many calls to the department that went unheeded. …69 calls made to the department… and yet this child ended up being tortured and murdered by his mother and her boyfriend. Do you feel that Jackie Lacey the head of the DAs is just in going after the social workers? Do you feel that the social workers when they just ignore cases they do what I refer to and many others refer to as a ‘drive-by’ meaning they go by the house however they never stop and they put it in their report as if they did. Do you think that they are responsible? Yes. I’d be responsible if I did that. Right, I’d be responsible too. Tammi then takes some questions from listeners who have emailed in. Q. Is there anything that the parent can do to make the social worker not even open up an investigation? There’s different social workers. When they get a referral from a hotline, they send out emergency social workers. They’re the ones that make the first contact. If no one answers the door they usually leave their card and from what I’ve heard they’ll leave the card maybe 2 or 3 times and if no one answers well then they close it. But nobody saw the child. So if nobody sees the child and there is no contact you can’t open up a case, isn’t that right? I’m not an expert on that because I’ve never been an emergency social worker but the one that decides whether there’s a case or not is the emergency social worker’s supervisor. A social worker doesn’t have that much say, it has to go by whatever the supervisor says. Tammi and Bob then discuss the protocols for case reports that are required to be written by social workers. Is there a new rule regarding these reports? Yes. The children’s court mandated that we have to turn in court reports 30 days before the hearing to our supervisors. Once you turn in the report 30 days before the hearing then what happens? It’s being approved by the supervisor–if there’s any corrections to be made it’s returned to the social worker to make the corrections–and once it’s signed off by the supervisor then the report is ready to be processed to deliver to court. We have a new system now where they barcode the reports to prove that they were handed in to the supervisors by 30 days and then I think they get barcoded at the 20th day when court is supposed to receive the court report. Tammi asks Bob if parents receive a copy of the report and Bob explains that it is mandated that social workers provide a copy of the report to the parents 10 days before court, however, sometimes parents are not given these reports and they do not always know it is their right to demand that they obtain a copy. You always give the reports [to the parents]? Tell the listeners what you’d like to say. [interposing] –wait a minute, but the supervisors though are the ones that might play very dirty so contacting them might not be helpful for the parent. Right. So then you contact the ARA which is the supervisor of the supervisors. I don’t think there is any chart that shows… up the ladder who you’re supposed to contact. Well, we need to make a chart. At this point in the program the connection to the caller is lost. I just want show the pictures of the social workers that are being criminally charged here in Los Angeles County based on their lack of helping, protecting, visiting, caring for–gosh they did nothing for little, beautiful Gabriel Fernandez–a little boy who fought harder than these people could ever dream about, who had the will to fight for his life until monsters came in and literally tortured him to death. Take a look at these people, folks. These are people that have to look at themselves in the mirror everyday and I hope every day that they do they think about the little boy. One of the four social workers criminally charged in the death of Gabriel Fernandez. Source. Now I’m not saying that that was their intention. They never thought about it but you know what, let this be a lesson to every social worker who is ignoring children who are in danger. Here they are. They don’t look like criminals, right? They don’t look like they would lie on social worker reports; don’t look like they would say that they would visit somebody and then make up a whole case scenario about the visit – but they did and it cost little Gabriel Fernandez his life. If you don’t want to be responsible and face jail time for a department that is telling you to lie, come forward. 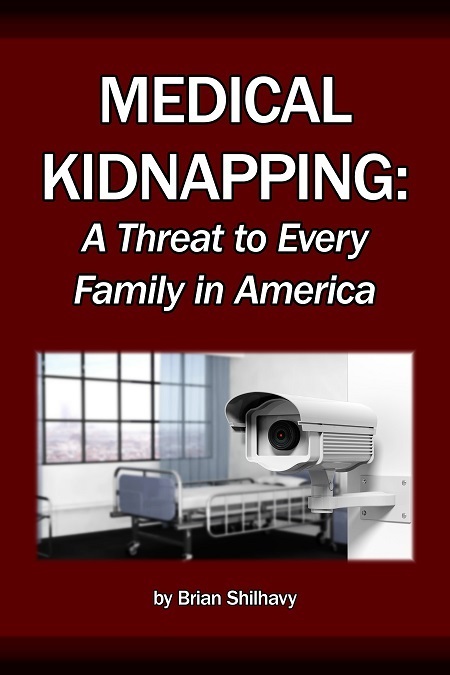 MedicalKidnap.com, I am very pleased and honored to have assisted in a very small way but I feel honored–Medical Kidnapping: A Threat to Every Family in America–there’s a book out now folks. Look at this book. This book really says it all. Father Jason Janbahan appeared on the National Safe Child Show. On Sunday September 28, 2015 Jason Janbahan appeared on the National Safe Child show to tell his story, and how a corrupt social service agency in LA County was responsible for the kidnapping and death of his 5 year old son. Jason Janbahan is on a mission to change how LA County DCFS operates, calling it a “real sophisticated business.” Jason has had both of his children removed from his custody and put into the foster care system in LA. 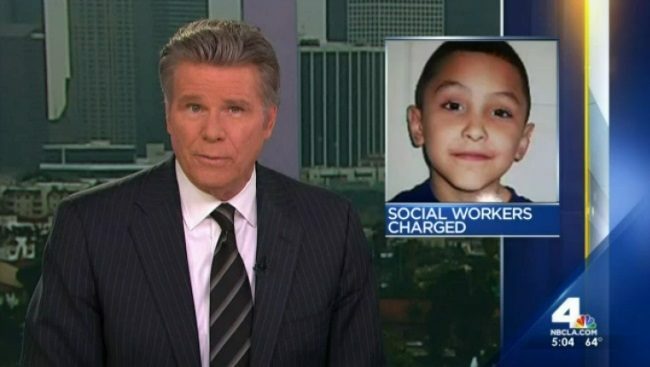 5-year old Jason Jr. was taken into custody by LA County DCFS and put into a group foster home in Compton California. The father Jason claims that they took his child away from him with no evidence at all, and as he reviewed his case he found that the case workers had violated at least 38 California laws, including felonies. Jason states that their county immunity is not going to protect them from criminal charges committed against young children. DCFS can turn around and respond to these agencies – how can you continue a case for so long? Why is this father filing so many complaints, that make a lot of sense? But yet when you respond to us that he was arrested for driving down the street under the influence of marijuana. Were you ever arrested for driving down the street under the influence of marijuana? Never in my life. I’ve never been arrested for a DUI in my existence. After this, they continued to claim, “and of alcohol.” He was arrested again, driving under the influence. I am in court. I’m battling for my children, tooth and nail. And I lose tremendously, based on lies. And not only am I hearing these lies being presented by County Counsel, that there’s no way on the face of this planet they can authenticate it because it is false. I never violated a probation by carrying a firearm, I have never been convicted seven different times of (carrying) a firearm. I’ve never been on parole in my life. The multiple formats of abuse and mental gymnastics coming from this horrible company that should leave you with a smile on your face. Unfortunately I was left with the pride and joy of my existence dead. Father Jason with Jason Jr.
Mr. Janbahan went on to explain how DCFS forcibly removed both of his children from his home and put them into a stranger’s home, someone that nobody in his family knew. This was done even though court transcripts would later show that there was no proof of any violence committed by Mr. Janbahan against his children or wife. But a children’s court found him guilty anyway, with no trial or evidence. Mr. Janbahan then proceeded to explain why he believes that DCFS has targeted him. Do you feel you were a target? I know I was a target. Because day one I complained about these social workers with agencies that do respond to the discrepancies. And these agencies, according to my knowledge do their best to rectify them. Unfortunately, all it did was escalate the situation. Jason Jr. as his father found him in the hospital. Both children are separated into two foster homes. I get a call that one of them has been hospitalized, in critical condition. He explains that his son had been brought in 3 days earlier with scabies, from head to toe, and was now covered in scabs. He had not seen his son in months. I go to the hospital and I am told “leave the hospital before we contact the police on you.” And I was escorted out of the hospital by their security. I go to the hospital. I received a phone call in the parking lot that my child has taken a turn for the worse. His temperature reached 108.5. The foster mother brought him to the hospital because my child was in respiratory distress. I had him in a 20 minute buterol breathing treatment daily, and hydro-cortisone stress doses, and other stress doses to help my child when he is in stress or in severe trouble. The foster mother was unaware of every single stress dose. The foster mother shows up to the emergency room, as indicated in the emergency room medical report… I received this medical report, and on the medical report it clearly states the foster mother left my child in critical condition in the emergency room, and went home…. She just abandoned my child in critical condition without contacting me, without contacting anybody in my family. Only the social worker contacted me three days later. My child’s condition worsened, and he was admitted to the PICU, where he was sedated, and he was medically induced into a coma. Mr. Janbahan explains that every single medical report indicated that his child needed all the medications and treatments that were implemented by him, the father, at the recommendation of all his doctors, and yet his child was taken away from him for “medical neglect.” He was placed into foster care in a medical house with three other children in Compton California. On January 5th my child was taken to Children’s Hospital of Los Angeles. The medical record dated January 5, 2015 clearly indicates the physical my child received before he was forwarded from DCFS to the foster parent. The medical record clearly indicates that my child was normal. On January 13, 2015, eight days later, he shows up in critical condition. Where is Jason Jr. now? My child is buried next to my dad at the Forest Lawn Hollywood. And it hurts really really bad. This is the worst thing I could ever talk about or experience in life. And no matter what, I can’t forget about it. It is something I have experienced. My child was my best buddy in this whole world. Other than my daughter, nobody on this earth that I love more than my favorite little buddy, my boy Jason. And he is gone forever. Jason Janbahan explains how this incident has changed his whole perspective on life. It’s beyond frustrating. It’s beyond upsetting. This has made me change my life around, to dissect the institutional code and law and penal codes. These county workers are violating and committing felonies, criminal acts upon innocent little children which will not be tolerated by this community, by anybody. LAPD supervisors from divisions that are surrounding my city, DA’s office, detectives – detectives are not even allowed to investigate criminal activity from a social worker. Makes no sense to me at all. If someone is breaking the law, and harming our generation and our community, harming an innocent little child? I don’t stand for that at all. I could walk down the street right now, pick a street, and knock on any front door, and they’re going to say the same thing. An innocent little kid, with a smile on her face, just wants an ice cream or to watch a cartoon, or enjoy time and love with their family, is being taken advantage of by an adult? Unacceptable. Especially if these adults are being caught in these ruthless acts of violence and harm. I find no reason to let this go. When adults take it upon themselves to violate countless laws and commit criminal acts to our society and community, the correct actions of justice will take place, and these people will be regulated, and the laws will be enhanced. And these people will learn the hard way when they think their county immunity will protect them. They are going to have to talk about that with some south siders in LA County jail. That’s if they make it to protective custody after being arrested. 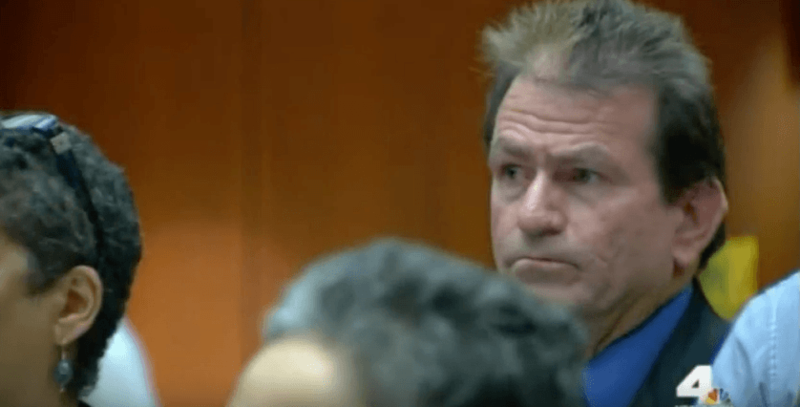 Jason Janbahan is in court today, September 28, 2015 at the time this article is being published, trying to stop DCFS from terminating his parental rights to his daughter Sarah, his only child left. We will update this story as more news comes in. 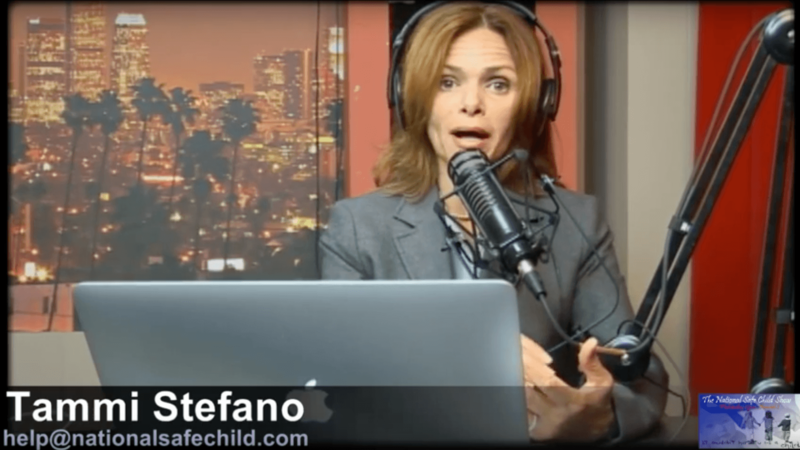 The National Safe Child Show, hosted by Tammi Stefano, interviewed Julian J. Dominquez, the author of A Culture of Fear: An Inside Look at Los Angeles County’s Department of Children & Family Services by Sbpra Books. Julian J. Dominquez, is a former social worker for LA County Child and Family Services. Jerry, as he requested to be addressed in the interview, recently left his career of 18 years with DCFS which included working as an emergency response worker, family maintenance and reunification worker and a dependency investigator. In addition, he created and conducts training for child welfare and other support agencies and is a licensed marriage and family therapist. False reporting is something that parents are up against. We know that it happens, what can the parents do, why does it happen? Social workers aren’t allowed to include in reports their findings, things that they see and hear. A lot of times information that they determine based on their observations, based on their experience with the families is omitted or changed based on the instruction of a supervisor, administrator or manager. Quite often positions are taken about parents and families by either a supervisor, administrator or manager dictate what actually goes in the report and especially the recommendations in a report. We have what I refer to in my book, A Culture of Fear, as ghost authors in many instances. You said something that really concerned me, most of the time the social worker writes one thing, but there is somebody at the office that intervenes and this ghost author intervenes and says no I don’t want this written, here’s what we’re going to write and here’s what you’re going to sign. It happens all the time. During the course of my career I’ve been told, just like many of the social workers, what you can recommend and what you can’t recommend, what you can include and what you can’t include. Intimidation is part of the culture and part of the experience of social workers, they are threatened with subordination if they do not go along with what they are being told to recommend or what they are being told to write in reports. Ghost writers: who are they, what are their titles, where do they come from? And by ghost writers, I am referring to the individuals that instruct and order social workers to write, to omit, to recommend what they feel is appropriate, what they feel makes sense. Ghost writers first of all, could be a supervisor, could be an administrator, could be a manager, it could be county counsel. The Ghost authors . . . almost in every case, never meet the families. The people that are making decisions about the lives of our families in our communities, don’t have direct experience with the actual human beings themselves and this is the most disconcerting point about this whole practice. The social workers, the one’s that actually work with the families, meet the children, talk to the children privately, see the interaction between the children and the family members and most importantly the caretakers, the parents, often times their findings, their observations are marginalized, they are set aside. And they are substituted for that opinion by these ghost authors. An immediate referral (IR), which means seen by same day. That the information is so disconcerting such a high risk situation potentially that they need to be seen same day. The second category would be a five day referral, which literally means seen within five days, by the first responders that are called emergency response CSW’s. The third category is called see by, where they actually decide on a date certain that the children and the caretakers need to be seen. The fourth category is EO, evaluate out. Munchausen by Proxy Syndrome, also known as Child Abuse Practice, is something that we’ve seen often in the field. We’ve seen situations where families have been identified as having Munchausen by Proxy. Which is basically a situation where you have a caretaker or parent cause or fabricate symptoms in a child for personal needs or attention . . . and It is clear that the child does not have any underlying medical issues other than the symptoms, but the symptoms may be caused by the parent. A Munchausen by Proxy, when we have an authentic case, which actually is very rare, we can have a parent that will actually create and fabricate these symptoms putting the child at risk. We theorize that a parent is doing this for personal needs for attention and other issues, but too often a parent is labeled as having Munchausen by Proxy Syndrome when in fact they have legitimate concerns for a child, when in fact children for a variety of reasons require medical attention or have issues that they can’t explain themselves, but they have concerns about the wellbeing of the child. Your child is sick, you’re concerned, and you’re not the medical professional. Something is going on, whether mentally or physically. There are some symptoms that you are seeing that are not typical for your child’s behavior or actions, you’re going to take your child to the doctor. We know better to go and get second opinions. That’s the way that we should do things. Doctors are called practicing physicians, practicing folks, being the key word in this context. We absolutely need a second or third opinion. These parents are being penalized, they’re losing their children, they’re being labeled with this disorder that, are they even qualified to label? Let’s talk about that. You cannot diagnose, you cannot confirm a condition like Munchausen by Proxy Syndrome without a pattern, an extended pattern over an extended period of a caretaker or parent that has taken their child not once, not three times, but have taken their child dozens of times over an extended period where there has been no medical finding. Jerry, somebody brought something up, there was a mom in LA. She disclosed a disclosure of abuse. She was instructed to go to this hub to have her children looked at . . . they used her visit to this hub as a means to label once again, falsely, this Munchausen. She has had two children taken away and she has been fighting this battle for a year, year and a half. What can she do, what recourse do these people have? She simply followed the instruction of the system that told her to go have her kids examined and then to have it used against her and to have it used as a basis to label her as having Munchausen by Proxy Syndrome is absolutely maddening and disturbing and unconscionable. It is ethically wrong, and we see that happen, where even if parents follow instruction it may eventually be used against them to build a case to substantiate allegations that are brought forth against the parents. Jerry advises parents find their own mental health practitioner to get that second opinion that they can document and provide to the court. You brought up a great point and I want our listeners to really listen. We need to pass this advice out that Jerry is about to give. You said when the social worker comes and this whole process goes and you’re going to go to court, what should the parent do? It’s really important that the parent understands how to navigate the system, especially when they go into court or when they talk to social workers. I would highly recommend that you record everything that you share with the social worker. It is your right to have a recorder. You have to inform them and let them know that you are going to record it. He also recommends documenting everything that happens; date, time, subject matter, and response from the social worker. When you go to court, this information needs to be provided in case you encounter reports or statements that are inconsistent with the facts and the truth. That states any individual, ghost author or otherwise, that has any undue influence on a report or statements they must now sign and take responsibility, full responsibility, for whatever they instructed and ordered including information in the report and especially the recommendations. And they must allow the social worker to recuse themselves to remove themselves as the actual author if it does not reflect their findings and if they are not allowed to make recommendations based on their findings. LA County Blue Ribbon Commission. Image source. You said there has never been a request for an audit when it comes to foster parent funding, is that true? We have never asked, demanded or expected an accounting of the funding they receive that supposedly, in theory, goes for the needs of the child. The Blue Ribbon Commission Report can be read here. When a social worker knocks at the door, do our parents, any parent… are you forced to let them come in your home? Parents can demand a warrant. You don’t have to let anyone into your home. You can say, do you have a warrant? You absolutely have the right to refuse. You absolutely have the right to demand a warrant, and examine the warrant. Once you let them through those doors, you wave your rights, is that true? Once you let them in your door you do not wave your rights. Once they walk through that door you absolutely have all your rights (and) you can still ask for a warrant, you can still record what’s being said. Jerry was explaining, not only record, but when you go into court, never be emotional. This is an important point. Take normal reactions that a parent has, if any of us would have if we were in these situations. We take situations where the parent may be emoting or showing intense emotion, anger, fear, they are upset, they may be argumentative, they may appear irritable. These are all normal reactions when your child has been removed or you are afraid your child is going to be removed. If you find yourself being overly emotional. If you find yourself emoting in court, becoming upset, angry, excessively tearful, oftentimes the system, the department will characterize that and pathologize that and may say there is something wrong with this parent, clearly they are unstable, clearly they may be irrational, clearly they are not appropriate to handle and take care of the welfare of a child. I would like the department, I would challenge the department, to create a policy that says that anybody that has any influence in the decision of cases regarding family, concerning removal or reunification, that if they are going to have any part in that decision in any meaningful way, they must have the obligation (and) responsibility to meet the human beings first. To minimally meet the caretakers, meet the children and see them interact. For individuals to have that level of authority, influence and power over the lives of human beings without having any responsibility to meet the human beings is unconscionable, it doesn’t make sense, it is not logical and the outcomes are tragic. You said something yesterday when we were chatting, every effort should be made first and foremost to keep the family together. The removal of the child should be the measure of last resort. The problem is we have a culture that is driven by fear and crisis and because it is driven by fear and crisis, we have situations where the legal responsibilities of reasonable efforts almost always fall by the wayside. We certainly do not make every effort to provide reasonable efforts before we remove. Fear and liability preempts sound decision making by the county and DCFS. Protection of the county from perceived liability at times trumps protecting children. Likewise social worker decisions are influenced by fear and termination and liability. Fear drives the system. We have to tackle that Tammi. 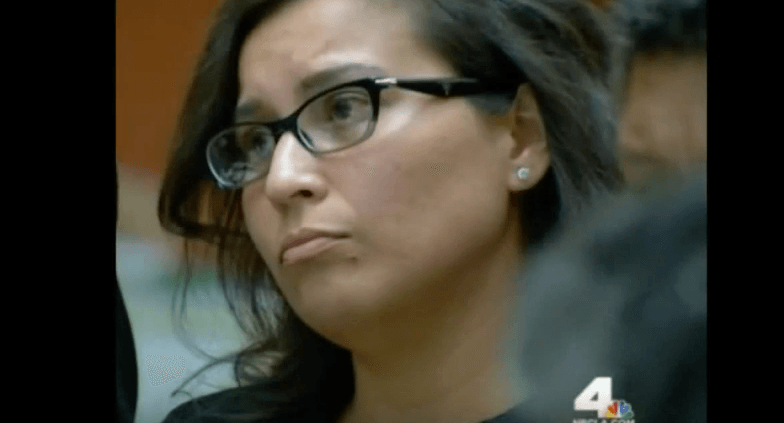 Tammi Stefano of the National Safe Child Show interviewed Melinda Murphy in late 2014 regarding the abuses of the LA County Department of Children and Family Services. Melinda Murphy has worked in Child Welfare for over 20 years. She has a master’s degree in counseling and educational psychology. She is co-author of the book A Culture of Fear: An Inside Look at Los Angeles County’s Department of Children & Family Services by Sbpra Books. 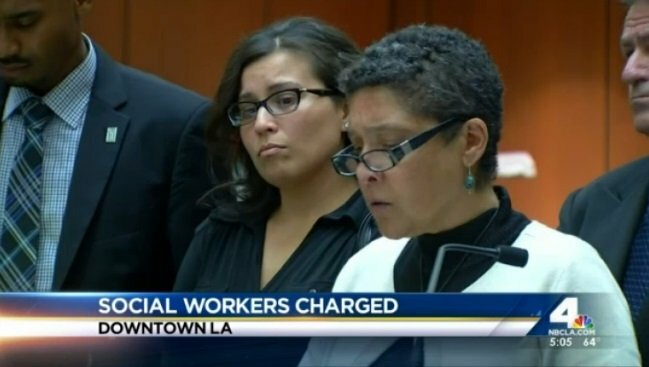 She worked for DCFS (Department of Children and Family Services) in LA County for 10 years in various capacities, including: social worker, supervisor, investigator, and court officer. She was known for handling tough cases that other social workers could not handle, and when she left the agency, she left on good terms. So why did she leave after working there for nearly 10 years? Because I had a conscience. I wanted to be able to sleep at night. I wanted to be able to look at myself in the mirror. When I went to work for them, I thought I’d be working for the children, I’d be working for the families, building on their strengths. I discovered no, what I am doing is I am working for the Department of Children and Family Services. I am a PR agent. I’m not protecting the children and the families. I am protecting the Department of Children and Family Services. And I couldn’t live with that. No. The Department of Children and Family Services is a political organization. And you cannot be a political organization and do social work. No. Not at all. That’s just a mantra. That’s just something you hear, “in the best interest of the children.” But that’s not what’s practiced. Care, custody and control of a child are fundamental parental liberty interests. Courts must provide a parent with fundamentally fair proceedings wherein the parent has a fair and reasonable opportunity to retain or regain care, custody and control of his/her child. It is our mission to assure that parents receive their substantive and procedural rights and that they are provided legal representation at low or no cost affording them a fair and reasonable opportunity to parent their child. Too many children are lost to the foster care system, and it is our goal to provide legal assistance to our clients to preserve the family and, in those instances where required, reunify the family through the use of innovative, effective, affirmative, and ethical legal principles and skills. In her new role, she is called in by the parents’ attorneys to investigate cases where children have been removed from their homes. She will make in-home visits with the caseworker. Melinda reports that 80% of the time she sees something which is completely different than what the social worker is reporting. She will write up a report on what she sees, such as parents who really are trying hard to do what is best for their children, and children who have no desire to leave their parents. The caseworker, meanwhile, is reporting that the parents are not capable of taking care of their children, and that the children need to be removed from the home. Unfortunately, her information seldom gets heard in court. Most parents have court-appointed attorneys who do everything they can to block her testimony, so the judge only hears what DCFS is reporting, which, according to Melinda, is erroneous information about 80% of time. Melinda goes on to state that once a child is in the system, DCFS has no intention of returning the child to the parents. That is not the goal. She explains how often statements are made to her such as “those kids are never going home,” and that if a social worker objects, or disagrees, they are taken off the case. There are no checks and balances. So what you are saying I hear every single day. A social worker or supervisor can make or break a case. The caller then asks where can they go to report DCFS abuse? If they call the police, the police just calls DCFS. No. It’s doomsville… The system is not working. It’s a very sick system. It’s failed, it cannot heal itself. This is what I always say to my parents, this is my advice: I always say don’t give up. Because you know deep in your heart that you are the person who loves your children the most… The social worker is not your friend, not by any stretch of the imagination.